Breakfast : de bonnes spécialités et surtout une exceptionnelle fondue savoyarde ! From 35 to 65 € the night I book ! In a countryide location near Lake Beunaz and just a few miles from Lake Léman (Geneva) and the spa towns of Thonan and Evian. 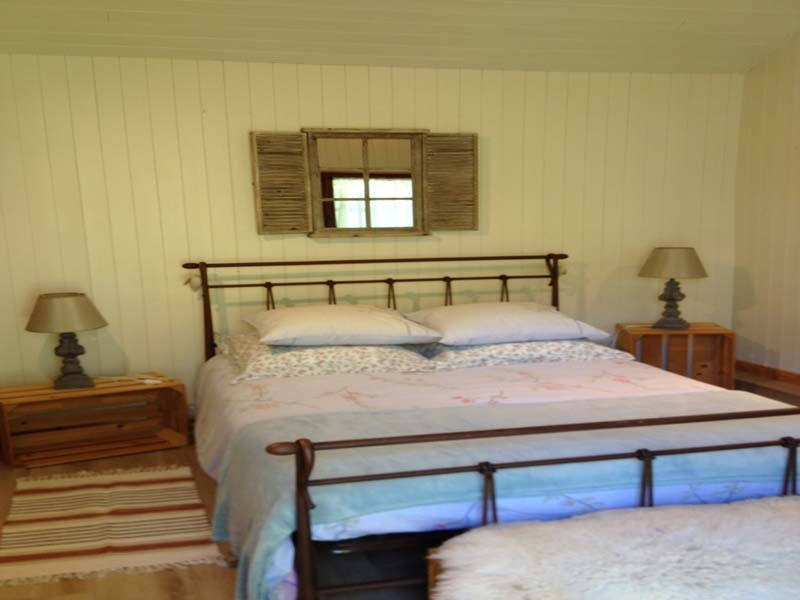 Self-contained rooms, simply decorated in rustic Savoyard style. Hearty wood-stove home cooking. In summer and winter alike, Martine and her children know how to show you the best of their privileged situation..
3 rooms with shower, WC and TV. 35 euros (1 pers. ), 50 euros (2 pers. ), 60 euros (3 pers. ), 65 euros (4 pers.). Baby equipment, games, children's meals. For teenagers: watersports centre at 200 metres distance. Warm welcome from the children of the house. The closest station is Evian, located at 10 km. The closest airport is Genève, to 50 km.